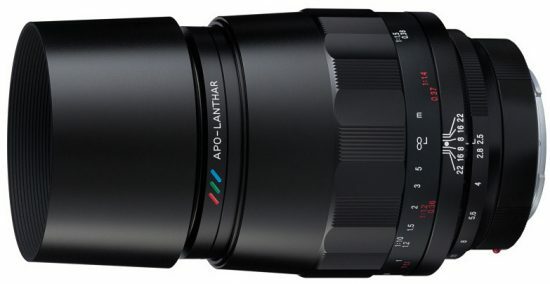 A quick update on my previous post about the new Voigtlander Macro APO Lanthar 110mm f/2.5 lens for Sony E-mount - the US price will be $1,099 ($100 more than the Voigtlander MACRO APO-Lanthar 65mm f/2 Aspherical lens as already reported). Update: the new lens is now available for pre-order at B&H and Adorama. This entry was posted in Voigtlander and tagged Voigtlander Macro APO Lanthar 110mm f/2.5 lens for Sony E-mount. Bookmark the permalink. Trackbacks are closed, but you can post a comment.